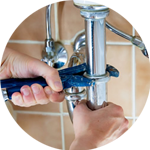 If you’re looking for a reliable and efficient Plumber in London, the Handy Squad has got the team for you. We have been completing a wide selection of plumbing issues to an exceptional level since 2005, making sure we provide a customer-centric approach every single time. 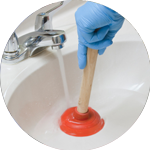 There will simply be no task too difficult for your Plumber in Kennington since they can draw on over a decades worth of expertise and knowledge. Amongst their impressive skills set, they will be able to provide assistance with a number of appliances such as: waste disposal sink units and baths & showers. 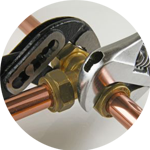 Fixing taps can also be taken care of as well as toilet installations for both domestic and commercial buildings. Rounding off their specialised skillset is anything related to white goods. Kennington is a district located within the South of London. 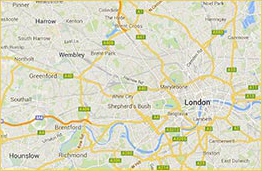 There are three significant landmarks within the area, which includes; the Oval cricket ground, the Imperial War Museum and Kennington Park. 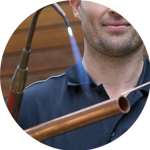 There are a number of high-quality trade services besides plumbing at the Handy Squad. We also have a Handyman in Kennington, who will be able to provide a wide range of DIY and maintenance services. They are the best choice for quality and cost-effective solutions to things like; flat pack furniture assembly, hanging shelves up and bathroom Tiling. If you’re feeling apprehensive about undertaking any electrical tasks yourself, you should consider getting hold of one of our Electricians in Kennington. They guarantee safe light installations and electrical repairs for both commercial and domestic buildings. We also have an array of other specialised trade services, which includes: house decorating, jet washing patio and carpentry in London. The Handy Squad really does have everything covered when it comes to highly skilled and multi-trained tradesmen.